All we want for Christmas is a volunteer to make us a new web site. Pleeaase Santa, all of us have been so good…. Very happy to announce our old friend, Ana Egge, joining the roster. Ana has a beautiful new record which will be available in either February or March 2005. Stay tuned for news on the release. Elizabeth McQueen and Milton Mapes also have new records coming out right about the same time…. it is going to be a busy Spring. Okay, okay… so it’s three months away, but put this one down on the books: March 16 has been secured for the ComboPlate Booking Party during SXSW. It will be an afternoon roster showcase at Gueros on South Congress Ave, and we will be done in time for everyone who wants to go to the Austin Music Awards. A big thank you to Rachel who has been volunteering and working on tour site updates. We sincerely appreciate all of her time. Happy Birthday to Craig of Beggar’s Banquet House Concert, and thanks to Lee & Craig for all of their support! AJ Roach will be making his first UK tour this January/February 2005. Watch his site and the tours page here for his shows in Wales, England and Scotland. We are very excited that AJ will be touring with our friend, Welsh singer songwriter, Jack Harris as support. Laura plans to tag along and keep them in line and out of trouble… or maybe get in trouble with them… stay tuned! Upcoming Friday Kitchen Concerts are Patrice Pike on November 19 and Scrappy Jud Newcomb on December 10. Thanks to both for being so willing to volunteer their time. ….all of them are great, so check them out. Listen to KUT’s Folkways on Saturday, October 16… Nathan, Elizabeth, Mona & Laura will be representing ComboPlate Booking and answering phones for KUT’s Fall Fundraiser. We love KUT and want to do our part in thanking them for their support. If you are a fan of ComboPlate’s artists… then call KUT and pledge when we are working between 10:00am-1:00pm. AMA was great and people were so kind. We will be back next year for sure. Matt the Electrician releases his fourth record this month, “Long Way Home”… drop everything and go get your copy now! And if you are in Austin, please come to the Cactus Cafe on Saturday October 2 for the hometown release show with Matt and his band and Southpaw Jones opening. Then rest up during the week and meet us at the Texas Music Cafe the following Saturday, October 9, and come help Laura celebrate her birthday. Nathan Hamilton will be playing a very special trio show between 8-11pm. We love October! Thanks to Colin Gilmore who has already played the Friday Kitchen concert October 1. One man having his lunch was still singing the last song Colin played maybe 15 minutes after Colin had left… a true testimony to the spirit of the Kitchen Concerts. September means it’s time to tour… please check out everyone’s sites as many ComboPlate artists are touring this month. Support live music! Elizabeth, AJ and Laura will be attending The Americana Music Conference in Nashville, September 23-25. We look forward to meeting other attendees and to hearing some great Americana music. Also, Laura will be having fun sitting in on the Demo Derby Review panel Thursday morning. The Onion Creek Crawdaddies are the very special guests for this month’s Friday Kitchen Concert on Friday, September 10. Thank you guys for being so generous and taking off time from your jobs to volunteer for the diners at the Caritas Community Kitchen. Lastly, ComboPlate Booking sincerely apologizes to the fans and staff at Camp Street Cafe for Laura’s miscommunication w/Nathan about his show there last month. Please look for Nathan to be rescheduled later this month. Beaver Nelson‘s kickass new record, “Motion”, hits the streets August 17th. If you’re in Austin, please come to his CD release party @ the Continental Club on Friday, August 27. Check out the tour page and Beaver’s web site for release shows in other cities. We are looking for a volunteer to do tour site updates. Email or call Laura for more info. To release his new records, Matt the Electrician is looking for angels … email Matt or Laura for more information. Thanks to Joyce and Brad at Jovita’s for all of their support and belief in the POP STARS: dads who rock songwriters’ circle. It took a little time to find the right venue, we couldn’t be happier with our Austin shows at Jovita’s. These amazing songwriting dads made the Austin Chronicle news last month… click here to check it out. We are back on track with first Fridays as the McKay Brothers have signed up to volunteer for the Caritas Kitchen Concert next month, August 6th. Thanks guys. Our very own SXSF-South By Soup Fest got a big thank you in the Caritas Spring/Summer Newsletter. You can read the article online. Please welcome Mona Resch to the ComboPlate Booking team. Mona will be helping Laura in the office with administrative duties and Laura is very, very excited to have her help. Thank you Elizabeth McQueen for your amazing recruitment skills. There are still other internship or volunteer opportunities, contact Laura to learn more. POP STARS: dads who rock start their new residency on June 6th @ Jovita’s. They will be playing the first Sundays of each month, come out and have some fun with some amazingly cool and talented dad singer songwriters. Also, POP STARS will be playing a special Father’s Day Show at The New Braunfels Museum of Music & Art on Sunday, June 20th, 4-6pm… all dads get in free!! We are looking for another intern or volunteer to help with administrative duties. Please email or call Laura to learn more. AJ Roach did great at MerleFest and won first place in the general songwriting category at the songwriting contest. We are so happy for him and proud of him. Upcoming Kitchen Concerts include King Tears on 5-14, AJ Roach on 6-4, and Lawrence Glass on 7-2. Kerrville Folk Festival is the end of this month, and ComboPlate Booking will be hosting a campfire, “Camp, Damn Right”. Come on by and play some tunes and say hello. We would love your company. SXSF – South By Soup Fest 2004 last month was the best SXSF yet. This year there were 17 slots during our three day charity showcase. 31 musicians from 5 countries, 6 US states and 14 different cities volunteered their time and played for the diners at the Caritas of Austin Community Kitchen. The musicians were all so enthusiastic and timely, thank you all for your generosity. AJ Roach has been named as one of twelve finalists in The Chris Austin Songwriting Contest at MerleFest 2004. He will perform at the finals at MerleFest in Wilkesboro, North Carolina on April 30th, we wish him luck. Jamie, Laura and the parents will be there, too! POP STARS: dads who rock begin a weekly residency on Thursday nights at the Longbranch Inn. Come on by and join in the fun. Michael Fracasso continues to tour his new release all across the USA, so please check out his web site for more information. Our young Australian friend, Simon Bruce, will be the volunteer musician this month at the Caritas Kitchen Concert. He will be volunteering on April 22, and look on his web site for more Texas shows. Happy Spring… please come to our ComboPlate Booking events on March 17th and March 19th, see last month’s news for the lowdown. We want to thank you in person for all of your support this past year. March 19th at Opal Dvine’s is particularly exciting as it will be the launch date for the new ComboPlate project POP STARS: dads who rock. Michael Fracasso has two new releases out, and we are psyched. “A Pocketful of Rain” is the new studio release, and Michael is also proud to announce “Retrospective”, a compilation double CD which includes “Back to Oklahoma”, his live album with Charlie Sexton, and a second disc featuring both previously released and unreleased tracks. The touring begins with a hometown celebration at The Cactus Cafe, Thursday March 4th. It will be a big party as Michael’s friends Beaver Nelson, Eliza Gilkyson and Patty Griffin join him on the stage. SXSW week will be here March 15th, everyone is playing several parties and concerts all week long, please check individual artist sites for complete listings. ComboPlate headquarters is very happy to announce that Beaver Nelson has joined us as the ninth artist on our songwriting roster. Beaver rocks. Thank you to Gary Graves who will be playing the Friday Kitchen Concert on February 13th. ComboPlate Booking Party @ Gueros Taco Bar, 1412 S. Congress Ave.
We are all about starting the year off right, so please help usÂ welcome Elizabeth McQueen to the roster. 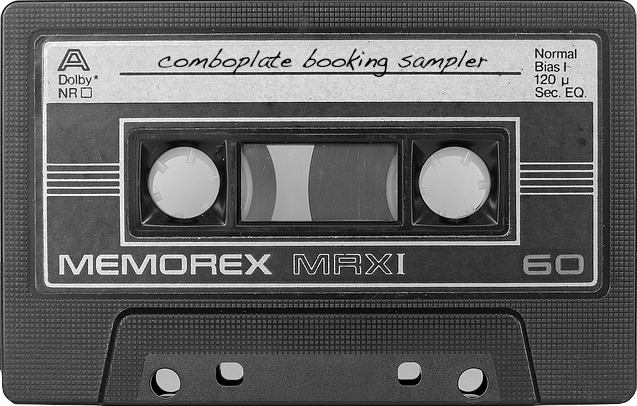 Yes, it’s only January, but ComboPlate Booking is more than busy getting ready for SXSW inÂ March. We will be having a party at Gueros on March 17, a special songwriters showcase atÂ Opal Divine’s (date TBA) and then you guessed it…..SXSF – South By Soup Fest 2004,Â March 17-19. Stay tuned for news on all of these events. And we are so proud…. Top 10 lists for 2003 are out. Visit the sites of NathanÂ Hamilton, Matt the Electrician, Milton Mapes, Elizabeth McQueen and AJ Roach to see all theÂ Top 10s they made on their releases last year.